Below are the most common mistakes new Idle Heroes players usually make at the early game. 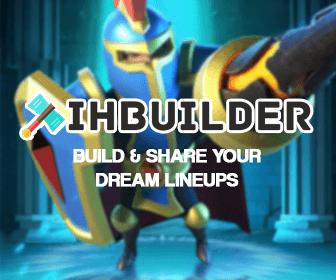 A big thanks to the /r/IdleHeroes community for helping PIH finish the list. Note: This article is for new players so most of the tips might not be true anymore for the mid and late game. One of the worst mistake and probably the most common mistake new players usually make at the beginning. Orbs at the beginning?” Etc. team), you want to start saving for the Events in game. By this time, you should already know the rough idea and the importance of events in Idle Heroes. They are used for different events. You want to take a look at the Events Guide for more details. in the first few weeks is fine tho because it could give you some very strong Heroes, carrying you through the early game. team, save them. Do not use them outside the Events. Most if not all new players do not know which are the top tier Heroes which shouldn’t be destroyed. If you are new to this game, I strongly recommend you take a look at the Tier List to see which are the best heroes right now in Idle Heroes. No matter how desperate you are, do not use them to upgrade any other Hero because getting them is very hard. You might end up with desperately waiting for the last copies of these heroes later. Guild Coins to upgrade the Guild Techs. Never waste them on the Guild shop! Another super common mistake. I bet that most new players do this. and see if you really need that Hero in your team later. in order to use them to food/upgrade/star the others and this costs a lot of resources. Another common mistake most new players do every day. Most new players, especially the ones that have purchased some Gems, really love purchasing items in the Marketplace because it’s the only place to purchase discounted items in the game at the beginning. You can refresh the Marketplace for free every 3 hours but never spend gems on refreshing it. Never. The number of items you can purchase per day in the Marketplace is also limited. So with the free refreshes, you will be able to purchase the must items. Don’t. It’s too soon to think about this. You won’t have enough resources and heroes to do that. Focus on team composition first, use the best Heroes you have first. You should only focus on this when you are at the late game. Heroes in the Altar to get Soul Stone Shards. It’s pretty long to talk about this here, you can check out the Instant Hero Management Guide for New Players guide for more details. Heroes until you have 4 copies of them. Using non-free Heroic Summon Scrolls during the event is a lot better! The drop-rate during the event is doubled. Also, you could get bigger prizes. This is a very debatable topic in the community right now because a lot of players think it’s okay to it could help you get more Heroes at the beginning, boosting your account progression a lot faster. Let’s discuss this in the comment section below! Tavern quests to get a better rewards. In short, it’s best to aim for quests that offers at least 30 gems in value. More details can be read here. Unless you are very wealthy, investing in a PVP team takes a lot of resources. Bosses and marauders are the best ways for Free-to-play players to earn rewards. Focus on PVE Team. Take a look at here to see what are the best PVE heroes right now. A lot of great PVE heroes are very easy to obtain at the beginning like Walter, Blood Blade, Karim, etc. After upgrading the Priest Tech Tree (because we all have Norma in the start), I can see that most new players focusing on Mage or Warrior tech. You shouldn’t focus on Warrior at the beginning because there isn’t any great Warrior hero for the early game. You can upgrade the Mage techs If you have several Mages in your team. But as stated above, new players should focus on PVE Heroes, which are usually Assassin and Ranger Heroes. Thus, do not touch Warrior tech at the beginning and upgrade the rest based on your team. Dark/Light Heroes are super cool and very strong. Most of them are top tier Heroes and we all love them. Prophet Orbs on them at the beginning. It’s extremely hard to obtain Dark/Light Heroes. You could waste a ton of resources by focusing on them early on. Forest at the beginning as this Faction contains the best PVE Heroes for new players like Vesa, Heart Watcher, Rosa etc. Buying Heroic Summon Scrolls right in the Summon Circle. Summoning Heroes from shards when not needed. Upgrading everything in the Blacksmith. Dark/Light Heroes outside Heroic Miracle Event. Upgrading Celestial Island without knowing the enemy’s level. Not focusing on Healers (Brave Trial and Aspen). Buying bad packages. Take a look at here to see the best ones for the money. Buying fodders from Altar shop. Not logging into the game once every 8 hours to collect Campaign rewards. Using gems to upgrade stone and keep the stats. Not saving Tavern Scrolls for the next Tavern Event. Last but not least, not having enough patience is the main reason of all mistakes. 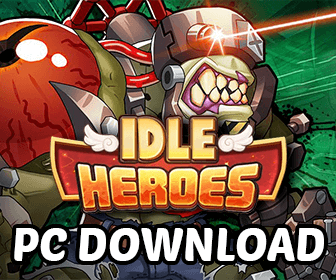 Hi guys, welcome to Play Idle Heroes - a web site built by the community of Idle Heroes fans. Almost all of the content here has been written by great folks who went above and beyond creating guides, tier lists, and other special articles. My goal is to continue building on a solid foundation and get as much relevant content posted here as my time allows. If you love this game, just like me, feel free to submit your own guides here to make it a lot better! – Saving Brave Trial Coins for Heroes. Hint: Use them to buy Chaos Stones (Monster Skill Currency). Well, if you are new this might be correct, but don’t get married to that. I have 3 monster maxed and tons of Chaos Stones saved for when they extend monster levels. And I spend all my brave trail coins on Gerkes and am very happy with that decision. Thanks for sharing this AutumnTea! If I don’t spend Heroic Summon Scrolls on Non-Free Days, how can I complete the daily quest? Sorry about how long this post is – I’ve struggled with whether to complete the daily challenge and ultimately landed that it’s really hard to make a quantitative decision on it (and that there isn’t a good numbers based discussion out there). That being said, you probably should not do the daily quest unless you have a crazy high gem income. The big benefit of not doing the daily challenge comes from being able to complete the summon event marginally faster and the value of getting those rewards more often . However, the less time it takes you to save up for a summon event, the more you should consider doing the daily challenge. As a VIP5 Monthly Card holder trying to complete summon events, it looks to me like spending heroic scrolls to do the daily challenge provides less value than saving the scrolls to complete a future heroic summon event (in my specific case). Here’s what I was considering. For the sake of ease, let’s pretend that a month is really just four weeks long, that every other day you’ll collect your free summon, that one week of the four weeks will be a summon event, and that one of the four weeks will be a wishing fountain event during which you’ll complete the wishing fountain daily quest every day. Additionally, let’s assume that any “saved” wishing fountain tokens will be spent during a wishing fountain event and that we’re doing the fountain event to at least 100 spins every month. Lastly, let’s assume all “saved” heroic summons will be done during a summon event, but let’s also assume that we’re not sure how often we will do the event. Completing Daily Event Every Day: I’ve spent an extra 22 wishing fountain tokens (market value 660 gems), I have 1,600 extra gems, and I have 0.17 fewer 5* heroes. The market value on the 5* is hard, you can buy 5* shards in aspen for 3K gems (so that would put the market value at 521 gems), but you can’t get top tier heroes from shards. I’m going to move this analysis forward ignoring this fact, since the likelihood of pulling a top tier hero from heroic scrolls is something like a 1 in 4, but it is there so I’ll leave that value open to discussion. Ignoring the top tier hero thing, we’ve basically come out 418 gems per month ahead by doing the daily challenge. The question then becomes, does having the extra scrolls for heroic summon event tiers outweigh having 418 extra gems each month. This comes down to your heroic summon event approach and how many scrolls you expect each month. For the sake of argument, let’s pretend that most folks heroic scroll income is around 8 per day or 224 per 28 day month (I tracked this my first three months, then I got bored – in those first three months, I was averaging ~6 scrolls per day or 168 scrolls every 28 days; it’s worth noting that this was increasing and I’m not sure where I’m at now… I might be closer to 7 or 8 now that I’m regularly able to do PO events and HM events, @ 8, it changes the math to 224 every 28 days). At this pace, this means I can complete the summon event every 62.5 days. If I do the daily event, however, I am now saving 210 scrolls towards the summoning event each month, meaning it takes me 66.3 days to save up enough scrolls. This essentially means that I’m getting ~6% fewer rewards from the summoning event. The POs and HS are pretty easy to value based on market rates, these rewards ring in at 12,000 gems. The minimum value on a top tier 5* is 3K gems (though really, I think most would spend more) so let’s say the last two things are worth at least 3,750 gems together. The gear… phew… I dunno, let’s skip the gear for now since it probably doesn’t make a difference in the value proposition for most of us. Adjusting for the amount of time it takes to get these rewards, you’re looking at a value of at least 7,235 gems/month. Losing 6% of this value = at least 436 per month. This is obviously verrrrry close to what we were gaining from doing the daily quests. So, here’s the fun part, let’s pretend you can get 18 heroic scrolls per day. Now instead of having a 6% drop in your event rewards, you only have a 2% drop in your event rewards. Also, instead of being worth 7K gems per month, the event is worth at least 16,729 gems per month. A 2% drop means you’re only losing 364 gems by not saving. In other words, at 18 scrolls per day, the only reason you would not do the daily challenge is if you thought getting a non-fodder 5* was worth around 4,926 gems (I’d definitely spend that if I knew I was going to get one of the heroes I’m actively trying to build in the short term – maybe the relic should be valued separately from the hero of the event?). While we’re at it, let’s throw another wrinkle in. Again looking at the current summon event, the best value in the summon event is actually achieved in the first 100 summons. In the first 100 summons, you’re essentially getting a return of 60 gems of value per summon from the event rewards. The next 100 gives you 35 gems per summon, the next 100 gives you 25 per summon. This means that there may be an argument to always do the first 100 summons, because the later summons provide decreasing value. If you’re bringing in less than 100 gems per month, this is probably the best value path to take. If you’re getting over 100 summons per month, then the question becomes where is the next best value for waiting. For it to make sense to go for the 400 summon reward, you need to value non-fodder heroes at around 4,500 gems (which… ok, this should pretty much be a given). To go for the 500 summon relics, you need to value making your pick of a top tier non L/D hero at 14,000 gems or more! For me, at this point, we’ve entered an eye-watering value. Would I rather have my pick of any non-L/D hero, or would I want to do ~50 hero replaces (looking at the branches in the market), or would I rather do ~30 POs? Anyways, that’s going down a completely different path (though unfortunately, it’s a path that swings back in the favor of doing the daily challenges). Anyways, for me (VIP 5, monthly card holder), the daily challenges are not worth it since I want to complete summon events, though it isn’t really a huge difference one way or the other (and after researching this post, I may start trying to figure out if it’s still worth it if I want to always do the 1st 100 summons). I’m not going to lie, I’m still not totally satisfied with my numbers on this and will keep chipping away until I am (working on this post just changed my mind from daily challenge worth it, to “oh god I wish I could take the last three months back” – the thing that’s saving me right now is that the value proposition one way or the other is +/- ~100 gems of value per month). I hope this helps frame the value discussion – I’ve seen a lot of posts in a lot of places trying to explain why to or not to do the daily challenge, so I took some time to try to figure this out in more detail as just about every post I’ve read has been extremely unsatisfying. If folks have another way to frame the value, I’d love to hear about it! Wow this is an insanely awesome comment! I really really appreciate your comment buddy! You are just so so awesome! People will definitely find some awesome stuffs right here! I am going to pin your comment here so people can easily see it!